Come visit us in our booth #1864 in the Hanger Building at America’s Family Pet Expo at the Orange County fairgrounds in Costa Mesa, April 26-28. Bull Terrier Rescue of Southern California Inc. can state its Mission Statement quite simply. "He Ain't Heavy He's My Buddy," also "Everything deserves a chance at life." sums it up. We are here to help any homeless or unwanted Bull Terrier, whatever the reason. 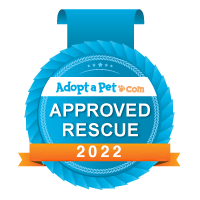 This rescue makes every effort to obtain these less fortunate of the breed, and find suitable homes for those who are likely candidates for placement. The volunteers who work in Bull Terrier Rescue have a lot of experience in the breed and in placing rescued dogs. Their job is to match dogs and families where a successful relationship seems the most promising, and they are happy to help you decide if Rescue is a good option for your household. Bull Terrier Rescue of Southern California Inc. PLACING OUR AVAILABULLIES IN THEIR FOREVER HOMES IS OUR NUMBER ONE GOAL. IT IS THEIR SAFETY AND CHANCE OF SUCCESS THAT WE CONSIDER FIRST AND FOREMOST WHEN PLACING A DOG WITH A NEW FAMILY. OUR POLICY IS NOT TO PLACE A BULL TERRIER WITH FAMILIES THAT HAVE CHILDREN UNDER 4 YEARS OLD, EXCEPT FOR A VERY RARE OCCASSION. PLEASE KEEP THIS IN MIND AND UNDERSTAND OUR REASONING. IF you live in another state other than California you will have to make at least one trip here. We will not ship a dog sight unseen. We will not place a dog beyond the Western United States. If you want a donation receipt please tell us in your mail, we will be glad to send you one.